Excellence in science education is found when students ask amazing questions, design and conduct authentic investigations, and are able to make informed decisions in our society. Being honored through the Presidential Award program has validated this vision and its implementation in my classroom. I am honored to be among this dedicated and innovative group of educators. This opportunity has been made possible by my creative students, colleagues who continually push me to be better, and an amazing family. 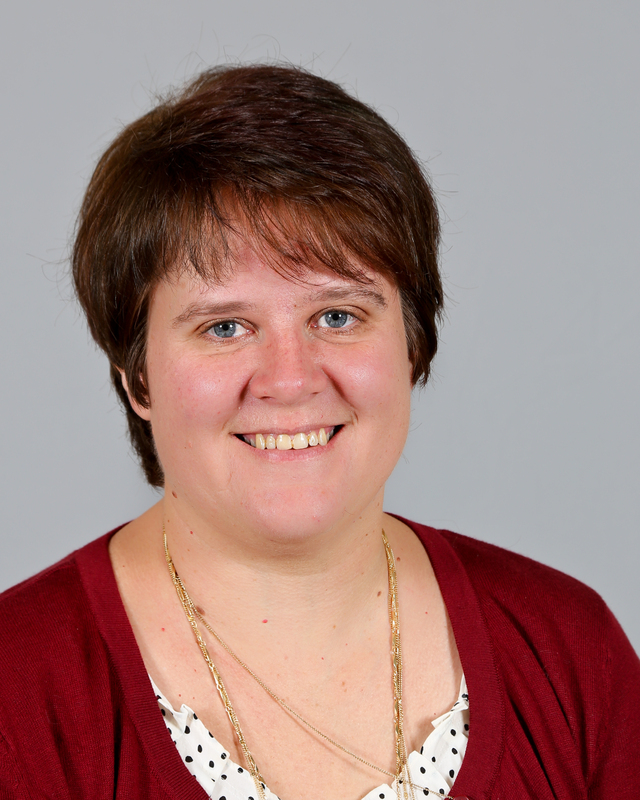 Jessica Noffsinger has been an educator for 15 years and has spent the past five years teaching science and engineering at the STEM Magnet Lab School in the Adams 12 Five Star School District. She currently teaches 8th grade Science and Engineering. Creating learning experiences that are engaging and thought provoking is Jessica’s specialty. Students in her classroom have engaged in several problem-based learning activities that have challenged students to use their understanding of scientific concepts to solve problems, ranging from replacing fluorescent lights in the classroom to landing 40,000 kilograms of cargo on Mars. Jessica also sponsors a variety of extracurricular activities and serves on numerous school and district committees. Jessica has presented sessions on engineering, scientific literacy, and problem-based learning at regional and national conferences. She has also served as a facilitator for the past five years during the summer institute to train new teachers in the STEM-inspired model. 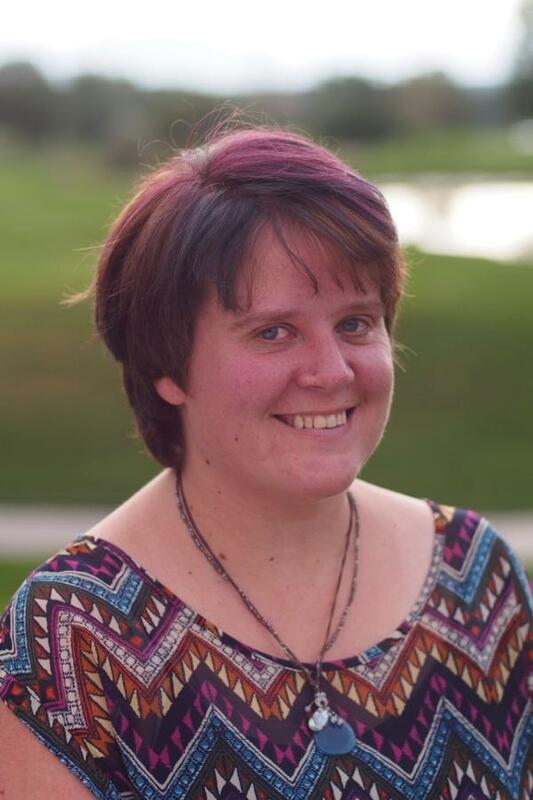 Jessica served on the state committee tasked with writing the Colorado Academic Standards for Science to embed twenty-first century skills and various assessment teams. Jessica earned a B.S. in chemistry from the Colorado School of Mines and a M.A. in educational leadership from the University of Denver. She is certified in secondary science education. 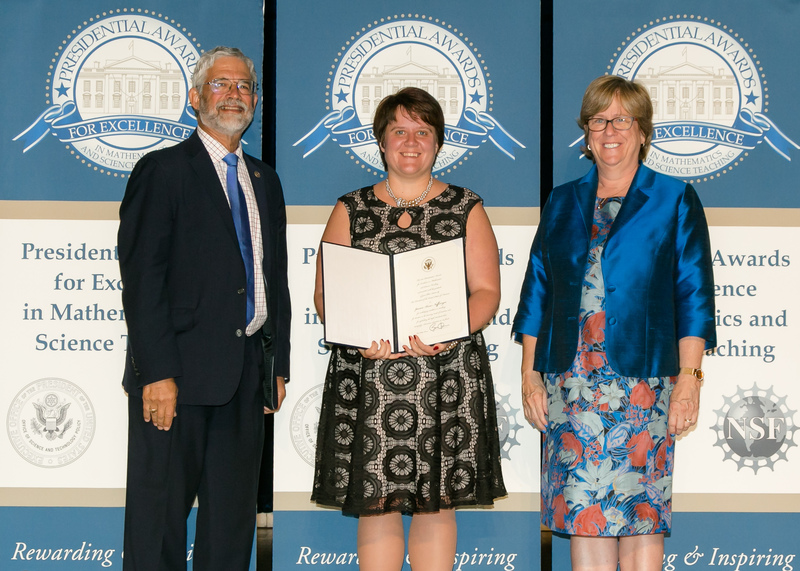 Awardee holding Presidential certificate between Assistant to the President for Science and Technology and White House Office of Science and Technology Policy Director, Dr. John P. Holdren, and Assistant Director, Directorate for Education and Human Resources, National Science Foundation, Dr. Joan Ferrini-Mundy.